i-DAT hosted the Fourth International Conference on Transdisciplinary Imaging at the Intersections of Art, Science and Culture 2016 – THE ATEMPORAL IMAGE. The conference explored how a new temporality informs and plays out across contemporary visual culture. Participants are asked to address aspects of the atemporal at least one of the following areas: the still image | the immersive image | the sound as image | hypermediacy and the iconic character of the image | politics of the image and/or image making in a transdisciplinary context| life sciences and bioart in relation to the living image| distributed and networked image | The trans-scalar image(inary), from the nano to the astronomical image | Artificial and computer vision | moving still | image as time, real-time and glitch-time| archival, permanency and immediacy| aesthetics and proliferation of the image. The 6th edition of the BunB conference was produced by i-DAT in collaboration with the Sustainable Earth Institute and Art and Sound at Plymouth University, and in collaboration with the North Devon’s UNESCO Biosphere Reserve, Beaford Arts, the Eden Project and Fulldome UK. Our increasingly mediated relationship with the environment brings new insights to the invisible forces that affect complex ecologies. From meteorological data flows to temporal climate change models, our relationship with our environment is becoming more abstract, simulated and remote – tempering our desire to act. Could it be that we know more and experience less? 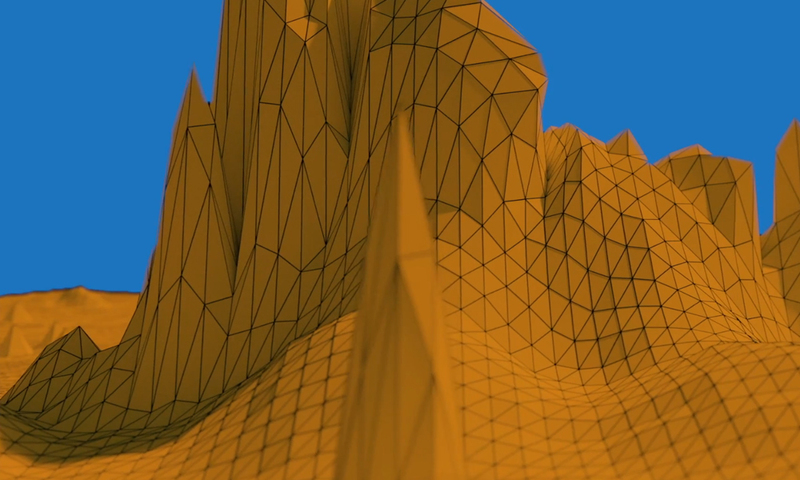 BunB17 maps the coordinates of our Sense of Place – the horizontal landscape to the vertical transcalar spaces of the macro/micro. 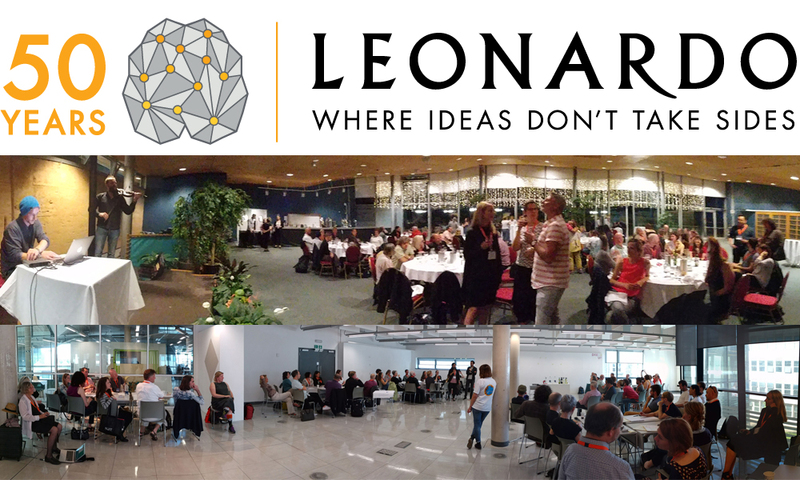 i-DAT was delighted to host the ‘Overview’, a 50th Anniversary Celebration of Leonardo at the Balance Unbalance 2017 conference. The Overview celebratesd Leonardo’s impact by providing a transdisciplinary change of perspective on the world. The Overview is synergetic with BunB 2017’s theme: “A Sense of Place” and confronts the transcalar – the macro, meso and micro understanding of our ecologies. The Leonardo Overview Panel will took place on the 22 August 2017. With, amongst others, Nina Czegledy, Ricardo Dal Farra, Sue Denham, Roger Malina and Paul Thomas. The Overview was supported by the Eden Project [www.edenproject.com]. The Overview was part of the international Leonardo 50th Anniversary Celebration. https://www.leonardo.info/50th-anniversary. The Scale Electric workshop coupled the power of the Atomic Force Microscope to touch the infinitesimally small with the potential of the Full Dome environment to immerse participants in visualisations of the incomprehensibly big. 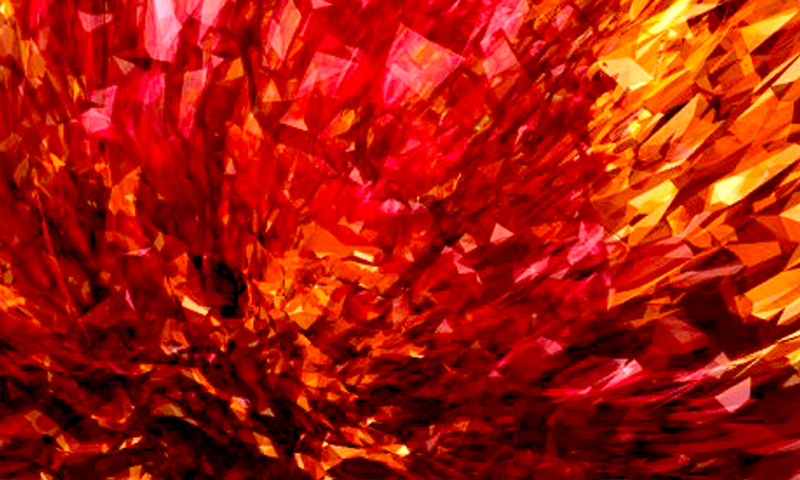 Throughout the last Century we were reintroduced to the idea of an invisible world. The development of sensing technologies allowed us to sense things in the world that we were unaware of (or maybe things we had just forgotten about?). 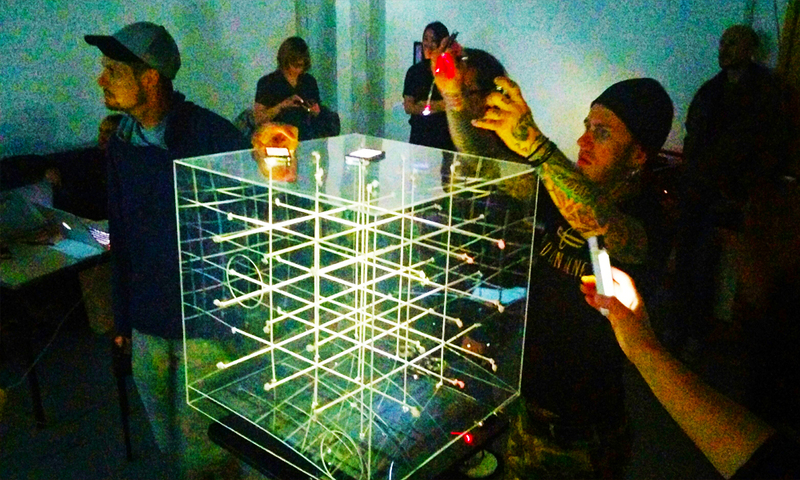 The Scale Electric – the invisible ‘hertzian’ landscape was made accessible through instruments that could measure, record and broadcast our fears and desires. These instruments endow us with powers that in previous centuries would have been deemed ‘occult’ or ‘magic’. Our ability to shift scales, from the smallest thing to the largest thing has been described as the ‘transcalar imaginary. 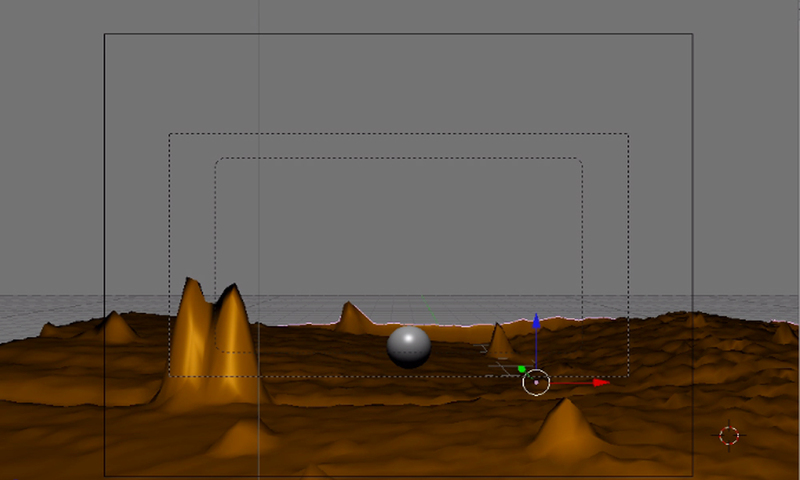 The workshop will enable participants to touch the nano level and then immerse themselves within it through visualisations and sonifications. 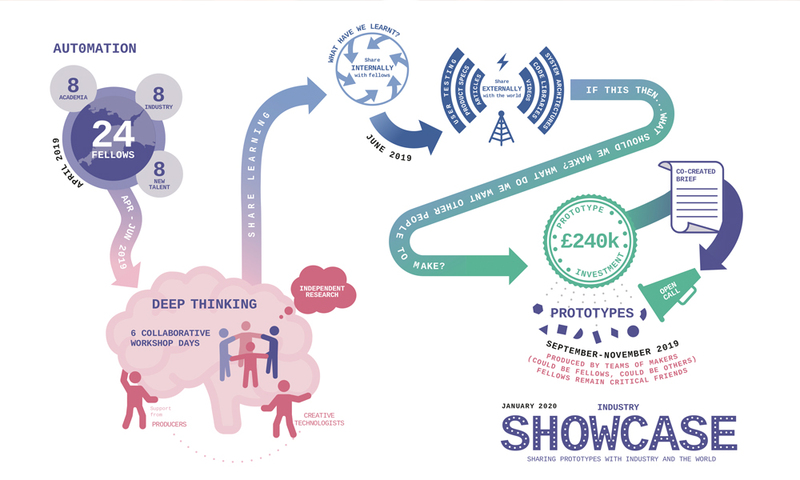 The Skunk-Works day-long prototyping workshops will focus on three themes related to the UK Industrial Strategy and offers an opportunity for participants to rehearse ideas and prototypes for the Impact Lab and South West Creative Technology Fellowships (SWCTN). 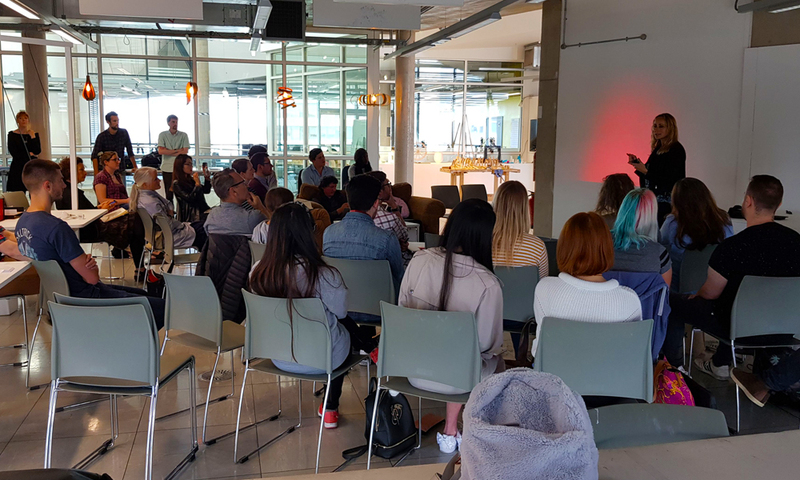 Immersion/Automation/Data: Three parallel prototyping workshops will be held on floor 2 of the Roland Levinsky Building starting with a briefing in the Design Lab. Each themed prototyping workshop will be supported by skilled students from the Ion Studio representing the broad range of skills and practices of the Design Research Area. These will facilitate the prototyping workshops to help rapid prototype of ideas. 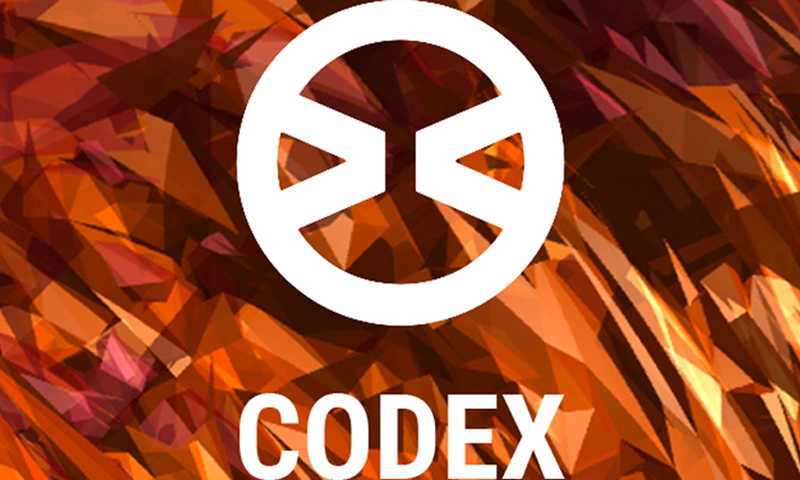 CODEX is an international Postgraduate Research network operating in the volatile and dynamic space that frames new interdisciplinary art and design practices. The Full-Time PhD consists of an 18-month Residency Period in the UK followed by a Mobility period in the collaborating institution. The CODEX Research Network incorporates the National Industrial Design Key Laboratory at Jiangnan University, Nanjing University of the Arts and Soochow University in China. i-DAT is a founding member of the Fulldome UK Biennial. Originally hosted in the IVT Fulldome UK is the nexus of an international Fulldome community of scientists, artists, VJ’s, coders, performers. 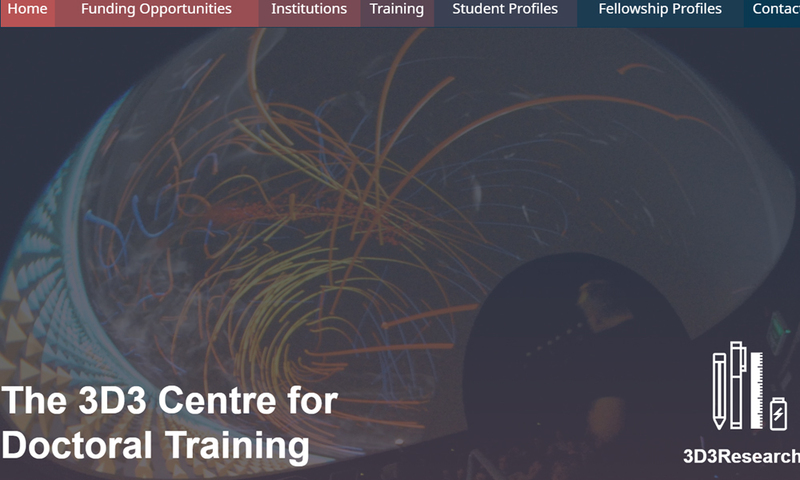 Fulldome UK is a not-for-profit association supporting artists and researchers working within Fulldome immersive environments. 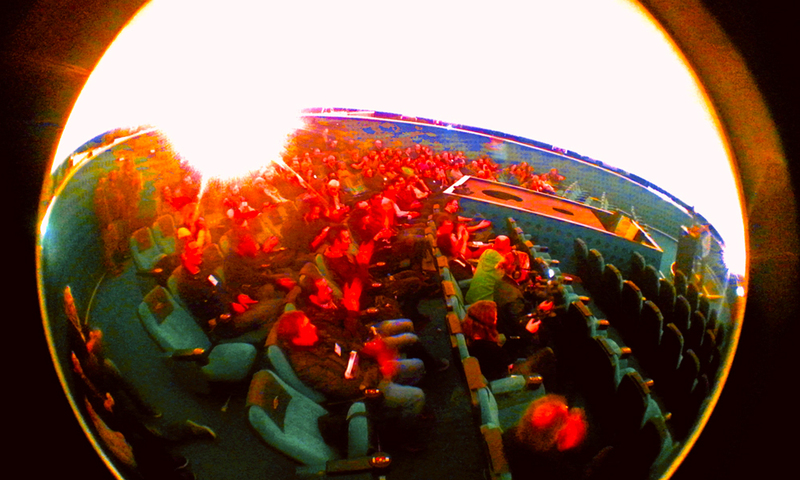 Fulldome UK organises events with the goal to promote Fulldome as an artistic medium in its own right, and as a platform for research into data visualisation, group collaboration and the effects of immersive environments on our perceptual and cognitive processes. i-DAT is an active participant and contributor to an international network of Media Arts, Arts/Science organisations. 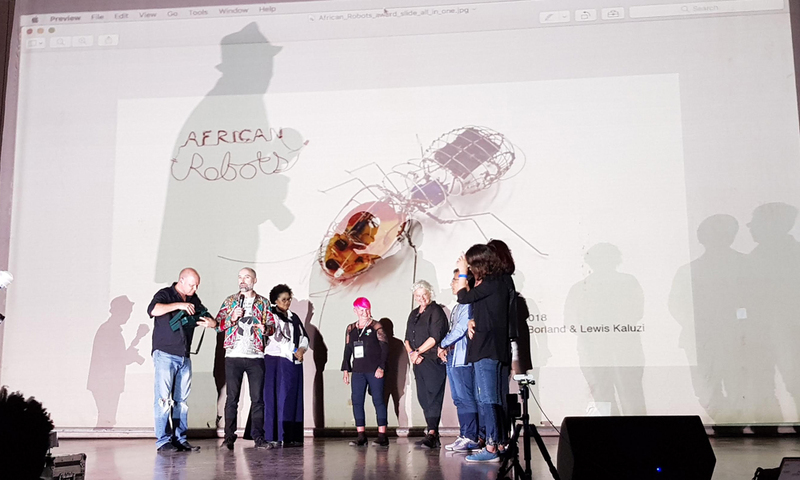 From ISEA (Mike Phillips sits on the International Board as Secretary), Leonardo (supporting the Leonardo 50th Anniversary Celebrations and contribution to the Leonardo Education and Art Forum (LEAF)), Ars Electronica, Gluon, STARTS, CairoTronica and of course the Planetary Collegium. 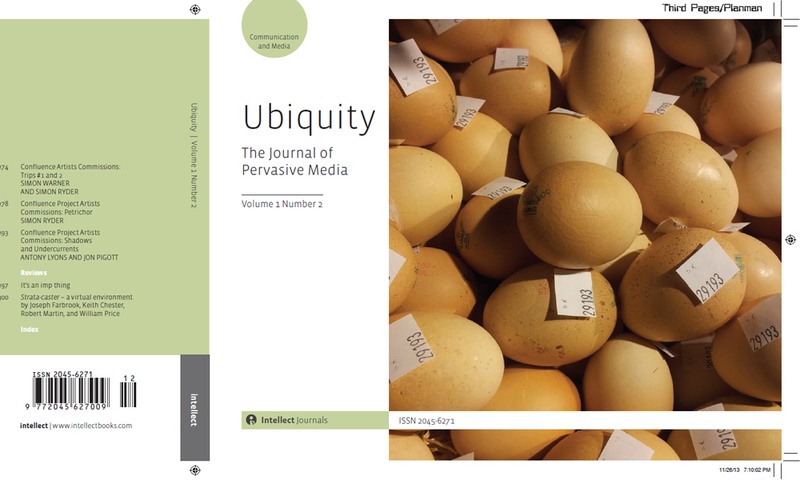 Ubiquity is an international, double-blind peer-reviewed journal for creative and transdisciplinary practitioners interested in technologies, practices and behaviours that have the potential to radically transform human perspectives on the world. ‘Ubiquity’, the ability to be everywhere at the same time, a potential historically attributed to the occult is now a common feature of the average mobile phone. The title refers explicitly to the advent of ubiquitous computing that has been hastened through the consumption of networked digital devices. 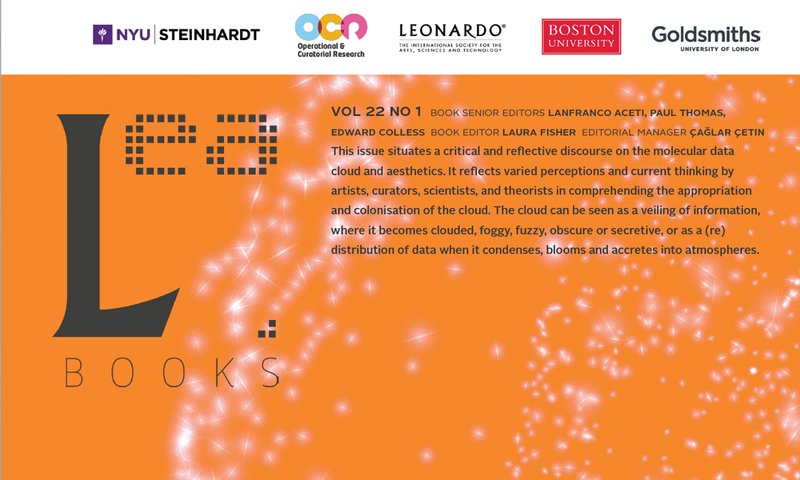 The journal anticipates the consequences for design and research in a culture where everyone and everything is connected, and will offer a context for visual artists, designers, scientists and writers to consider how Ubiquity is transforming our relationship with the world. Editors: Mike Phillips (i-DAT) / Chris Speed (Edinburgh College of Art). Editorial Assistant: Jane Macdonald (Edinburgh College of Art). Artory was launched in January 2015 as a pilot scheme to enable users to leave feedback and cultural organisations to understand their audiences better. 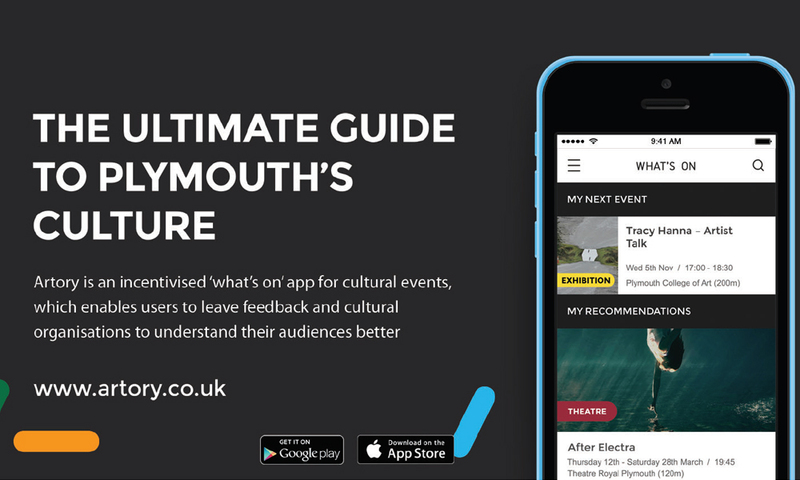 It provided users with an opportunity to evaluate events and shows, whilst receiving cultural event info directly to their phones. This city-wide collaborative pilot was produced by i-DAT and Plymouth Arts Centre with the Plymouth Culture Guide Group: Theatre Royal Plymouth, Barbican Theatre, Plymouth City Museum and Gallery, The Gallery at Plymouth College of Art, Peninsula Arts Plymouth University, KARST, Ocean Studios, Take a Part, Plymouth Dance and Plymouth Culture. The App was designed and developed by Elixel with i-DAT. The branding was designed by Intercity. To date Artory has: Engaged 25 arts and culture partner organisations / Promoted 2041 events / Provided 12,015 pieces of feedback / Had 6201 downloads across IOS and android devices / Had 5129 visitors to the website. The 3D3 Centre for Doctoral Training is a partnership between Falmouth University, Plymouth University and the University of the West of England, Bristol (UWE Bristol). Launched in 2014, its aim is to train a new generation of interdisciplinary practitioner-researchers. Funded by the Arts & Humanities Research Council (AHRC), 3D3 trains researchers to meet the creative and design opportunities of the future, exploring the possibilities and challenges presented by rapidly evolving technologies, including the interface between digital processes and traditional methods. It offers a unique opportunity for creative scholar-practitioners working at the forefront of a rapidly expanding research landscape. The project will develop a new, networked model of Knowledge Exchange for creative technologies innovation. It will do this by harnessing the expertise in creative technology research across the SW region to deliver a series of interdisciplinary R&D programmes that grow the capabilities and connections between the participating HEI and industry partners. 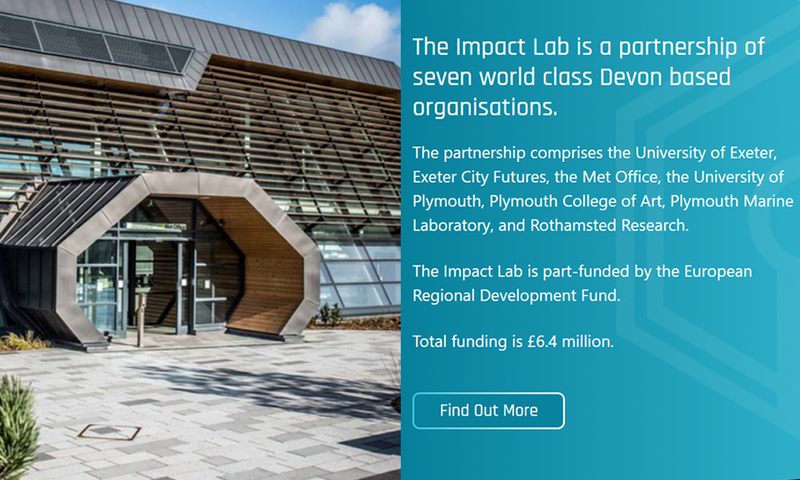 i-DAT is delivering the Data Visualisation element of the £6.4m part-funded ERDF project is delivered by the Universities of Exeter and Plymouth with the Met Office, Plymouth Marine Laboratory, Rothamsted Research, Plymouth College of Art and Exeter City Futures. The Environmental Futures and Big Data Impact Lab project gives Devon-based SMEs the opportunity to work collaboratively with scientists and technologists to develop new products, services or processes with a focus on big data and safeguarding the environment.